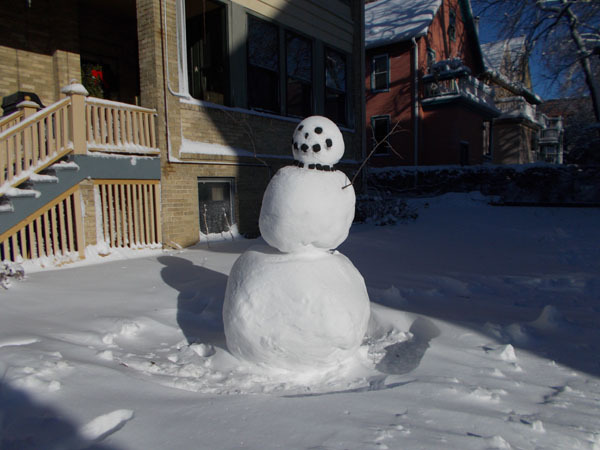 Yesterday morning, in the backyard of the rectory for the St Paul’s priests, where several UW men students also reside: is that snowman not wearing a clerical collar? A biretta would finish the picture. 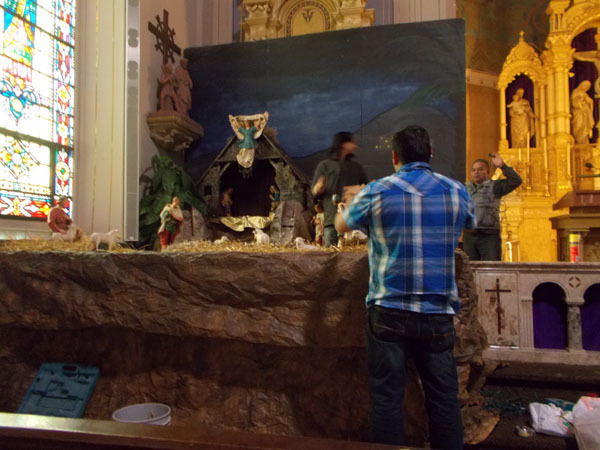 Inside Holy Redeemer Church today, some Hispanic parishioners and Padre Jose Luis (far right, facing camera) were working on the Creche. It’s beginning to look a lot like the 4th Sunday in Advent! 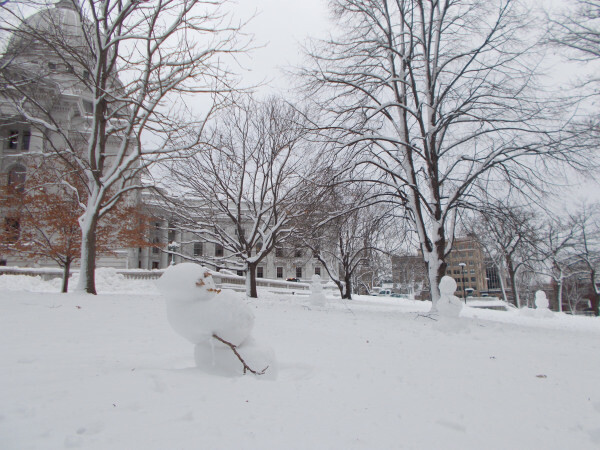 [Sunday morning update:] on my way home from 11am Mass at St Patrick’s I noticed many snowconstituents enjoying the weather on the grounds of the Capitol.